! 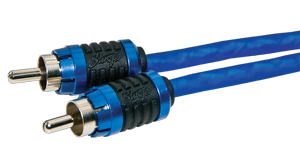 We offer a wide range of RCA cables so you can expect the best performance from your car audio amplifier delivering crystal clear sound and reliability. We have cables available in a variety of sizes and styles to fit your budget and needs.